As someone who enjoys traveling, one of the top three question I am asked is with regards to my bucket list; Usually starts with a question about where I have been and then a question about where I want to go. Before I get into my list, I have to say keep an open mind on destinations; take advantage of flight and travel deals and don’t limit yourself to a bucket list. Essentially, make a list but don’t be afraid to toss it out. 2018 was an incredible year of travel and ninety percent of the destinations were not on my bucket list. The opportunities presented themselves and I took advantage of it and had an incredible time. I have got 10 countries listed here - some I can knock off in a long weekend and others will require a bit more planning; time and money. If you have been to any of these places - I will love recommendations of what to do and where to eat. 1. South Korea - Looking forward to exploring the capital city of Seoul ; seaside city of Jeju. Visiting night markets and eating the local food. I have loved this Country for so long and I have been lucky to meet a few Koreans who have made me love the Country even more and the desire to visit has only grown. A few areas I am looking forward to visiting in the capital city - Apgujeong-dong aka the Rodeo drive of Seoul; Insa-dong for street food and teahouses; Sisa-Dong; Songhyeon-dong for its close proximity to Gyeongbokgung Palace walls with traditional hanok houses and Yeonnan-dong. 2. Morrocco - I have not heard or read one negative thing about this Country. I will love to visit Marrakech ; Essaouira and Casablanca. If I can squeeze Chefchaouen into the same trip; I will be over the moon. I am looking forward to visiting out souks and medina and lounging in Raids. Also the architecture - beautiful and tiled colorful goodness to feast my eyes on and capture through my lens and in my heart. 3. Iceland - I have always wanted to see the Northern lights and while there is no guarantee that I will see it; the potential is very exciting. I am also looking forward to visiting Reynisfjara for the black sand beaches ; the waterfalls at Skogafoss and the lagoons (blue lagoon and secret lagoon). 4. South Africa - I have done a piss poor job of exploring my continent and I will very much like that to change in 2019. I am hoping to visit South Africa as my first big trip of 2019. I will like to spend most of my time in Jo’burg and Cape town (maybe Durban as well). Looking forward to wine tasting; “hiking” to table mountain; Chapman’s peak; Simon’s town ; Robben Island; Cape of good hope; Bo-Kaap and Boulder beach. I will also like to go on Safari in Kruger National park. 5. Southern Italy - I have visited Italy a few times and it never disappoints. In all of my visits, I have not spent a lot of time in Southern part of the Country and I will very much like to do remedy that this year. Looking forward to visiting Cinque Terre and the towns of Amalfi cost. Have you seen pictures of the colorful homes stacked on a hill-side ? I will also love to visit Sicily and the Isle of Capri. Maybe I will just move to Italy (might be easier). 6. Costa Rica - Some dear friends honey mooned here several years ago and they loved it and have not stopped recommending it. While planning my Christmas trip this year - this was a very top option but Portugal won out. Costa Rica is often recommended as a great geo-tourism destination. Looking forward to wander through Las Baulas National Marine Park; explore Puerto Viejo de Talamanca and Manuel Antonio National Park. 7. Greece - Do I really need to justify this ? I definitely want to visit Athens for its historical and architectural significance and the islands of Mykonos and Santorini. However, the place I am most looking forward to visiting is Zakynthos - (Navagio and the shipwreck beach) because it is incredibly beautiful and it is one of the locations of one of my favorite shows of all time - Descendants of the Sun and I cannot wait to see it in person. 8. Maldives - Have you seen pictures of Maldives ? It sells itself - this nation in the Indian ocean is known for its beaches; lagoons and extensive reefs and I cannot wait to see all of it. Looking forward to the fish markets; Madjeedhee Magu and Hukuru Miskly in the capital city of Male. 9. Hong Kong and Macau - Yes ! I know these are not the same Country but the ferry ride from Hong Kong to Macau is only 55 mins so why not combine both, right ? Looking forward to exploring the Portuguese influences of Macau - from Ruinas de Sao Paulo ; Taipa village; Coloane; egg tarts from Lord stow’s; long wa tea house; and lou lim leoc. In Hong Kong, I cannot wait to see the views from Victoria hill; the Victoria harbour; markets at Mong Kok; climb the 260 steps to Tian Tan Buddha and Lantau Island. 10. 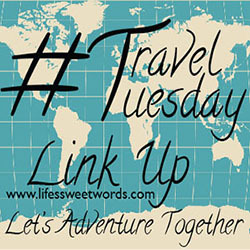 Thailand - From Bangkok to Chiang Mai - I want to see and experience it all. This was another destination I considered for Christmas but could not free up my schedule to get the travel papers sorted. However, I did the research for this trip and I cannot wait to get there. Friends told me to avoid Phuket because of the crowds and go to Koh Phi Phi Island or Koh Lipe, instead. Stay at the Chai Lai Orchid elephant sanctuary and visit the white temple at Chiang Mia; floating market ; riding in tuk tuk and temple hop (Wat Arun ; Wat Pho ; Grand Palace) in Bangkok and lounging on the beach in Koh Phi Phi. Any others I should consider ? What is on your travel bucket list ? Each year, I make my pilgrimage to Paris. Some years it is intentional and others (who am I kidding - it is always intentional). Paris - feels like home to me. While some of it may be cliche, I don’t think you can go wrong with a trip to Paris. 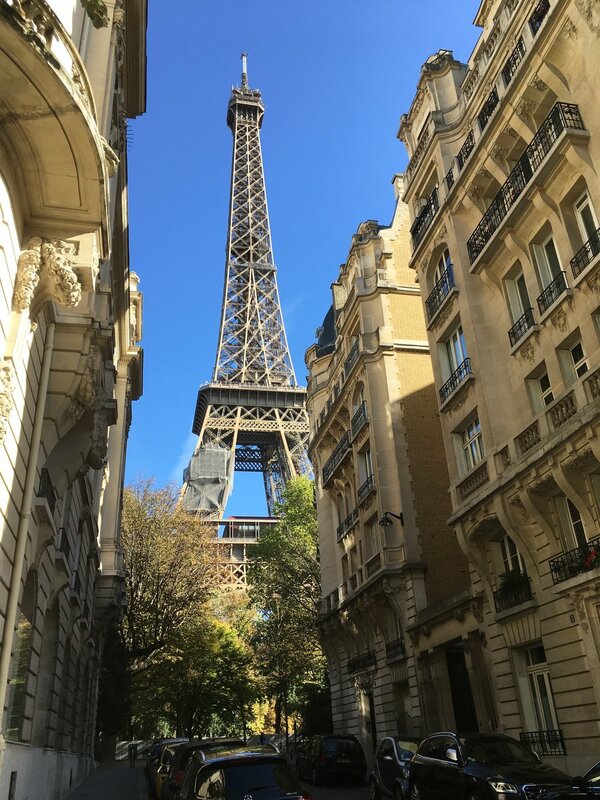 Walking along Champ d’elysses and seeing the Eiffel tower never gets old - no matter how many times I visit. 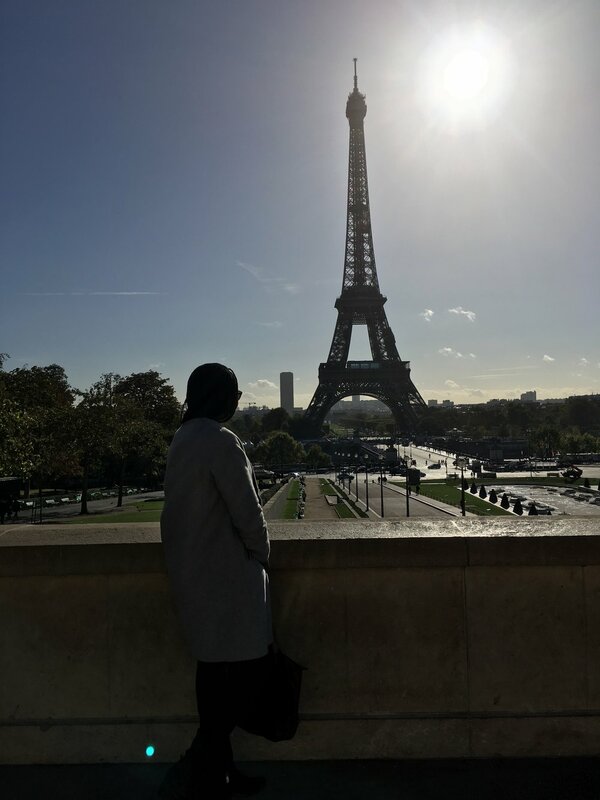 I always travel Paris solo; it is one of those cities that is made for every kind of traveller - solo or otherwise. So ! 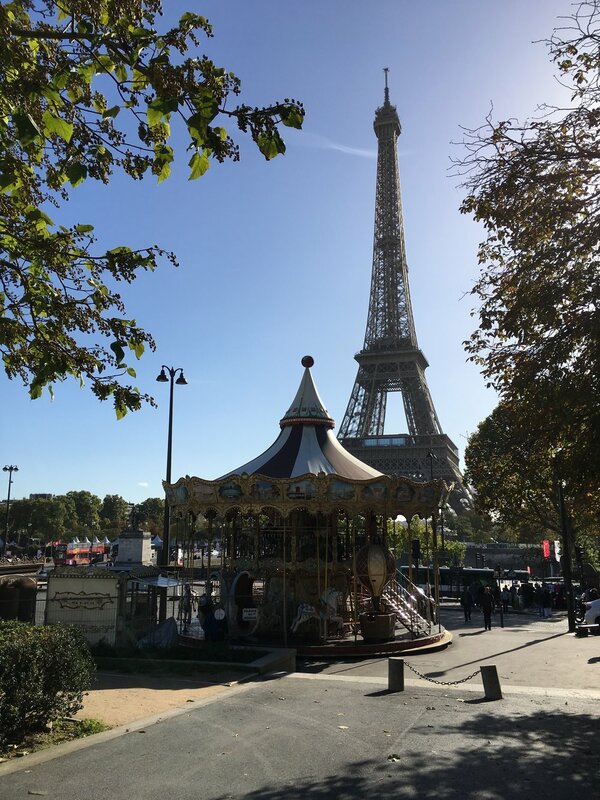 If you have been thinking about a trip to Paris - you don’t have to wait till you can get friends on board; this is a destination you can explore on your own and have an incredible time. To help you plan your Solo trip, I thought I will share an itinerary from one of my trips. I stayed in the Montmartre area which is quickly becoming one of my favorites neighborhoods in Paris. I have stayed here my last three trips. I visited during the week; but this itinerary also works for a weekend getaway (returning late Sunday or early Monday morning). DAY 1 - Arrival and Dinner at La boîte aux lettres. I arrived early evening and did not feel like doing much. I took a stroll around the neighborhood to get my bearing and sort out where the nearest train station / bus stop is located ; find the supermarket and pharmacy (because French beauty products). After my usual familiarize myself to the area ritual; it was time for dinner. 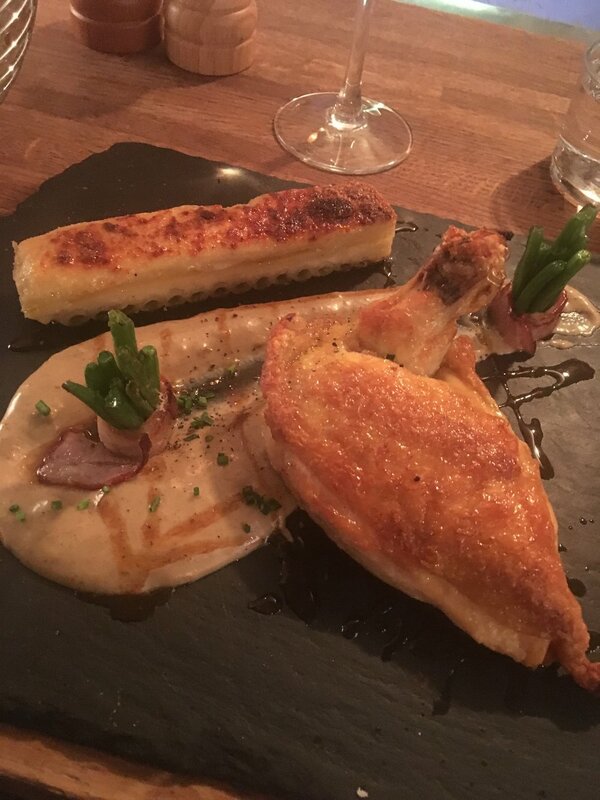 Based on my research, La boîte aux lettres was one of the highly recommended restaurants in the area (and the only I could get reservation to with such short notice). Dinner was excellent - do not miss out on dessert - the Oreo Tiramisu incredible. Follow dinner up with a leisure stroll around the neighborhood. Keep an eye out for one of the three remaining original windmills. There are several bars and coffee shops scattered around for a nightcap if you don’t want to call it a night just yet. This is a cash only restaurant in Le Marias serving up incredible brunch options. If you need a quiet place to plan your itinerary or get some work done. This is a perfect spot. 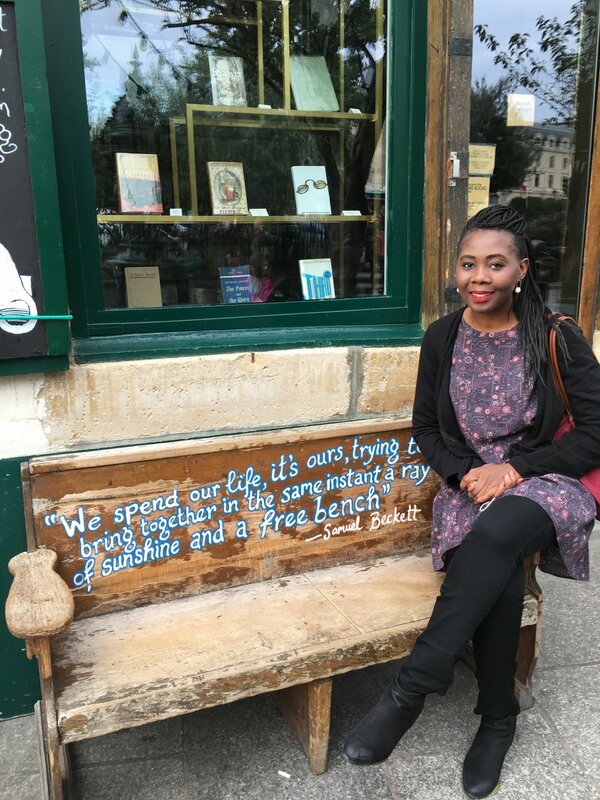 DAY 2 - Visit Shakespeare and Company. The iconic bookstore on the left bank is probably the most famous bookstore in the world and known as home to literary greats like Hemingway and Fitzgerald. It gets crowded with fellow tourist at certain times, but if you can find a spot, grab a book from the cart and catch up on some reading (if you have the time). If you are in a hurry - take your pictures and head on to the Notre Dame. 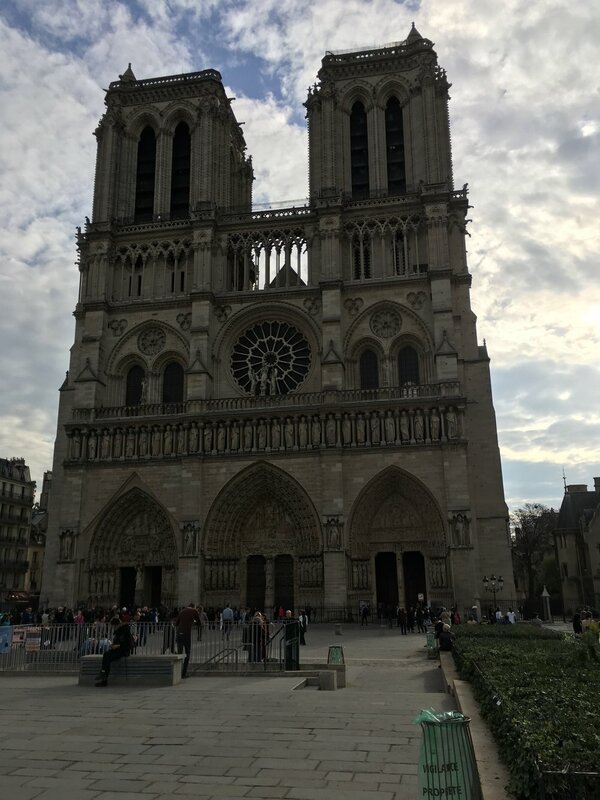 The Notre Dame cathedral is one of the most famous cathedrals in France (and the world). Take a stroll around it ; if the queue is not too long; get in line to climb up the tower for incredible views of the city. There are intricate architecture details on the facade and entry way so make sure to look up so you don’t miss it. 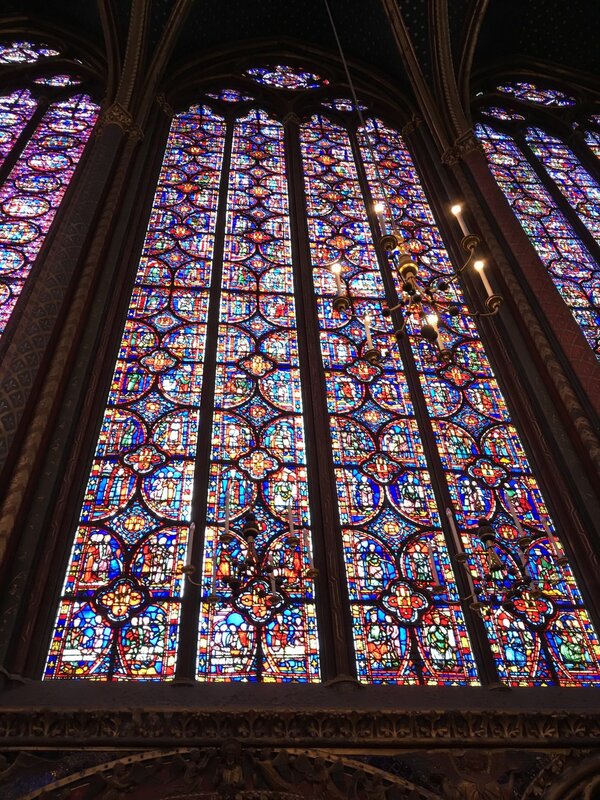 Admire the beauty of the magnificent glass stained windows. This is said to have been built to receive the crown of thorns of Christ and a piece of the real cross. How incredible is that history ? 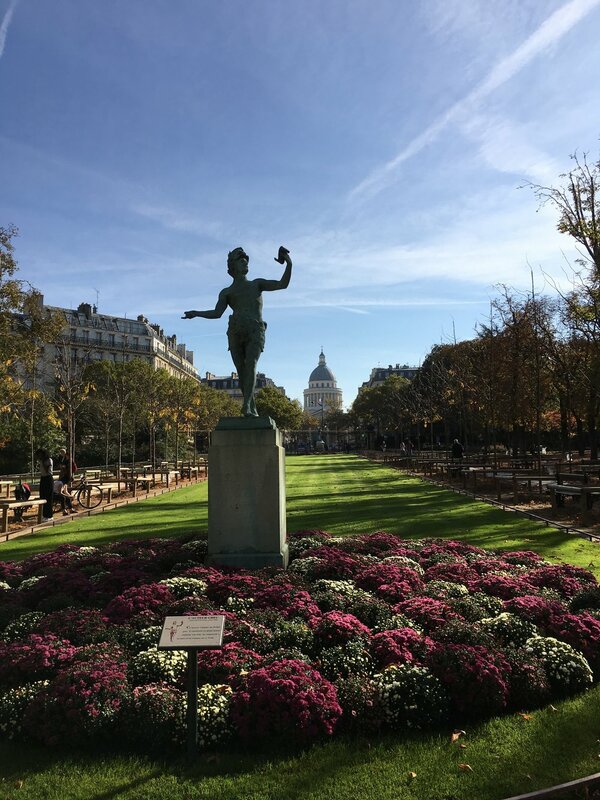 DAY 2- Explore Jardin de Luxembourg. The lavish gardens and fountains seems like another world. It is located in the 6th arrondissement. If you can pack a picnic - this is a great picnic spot for locals and tourists alike. 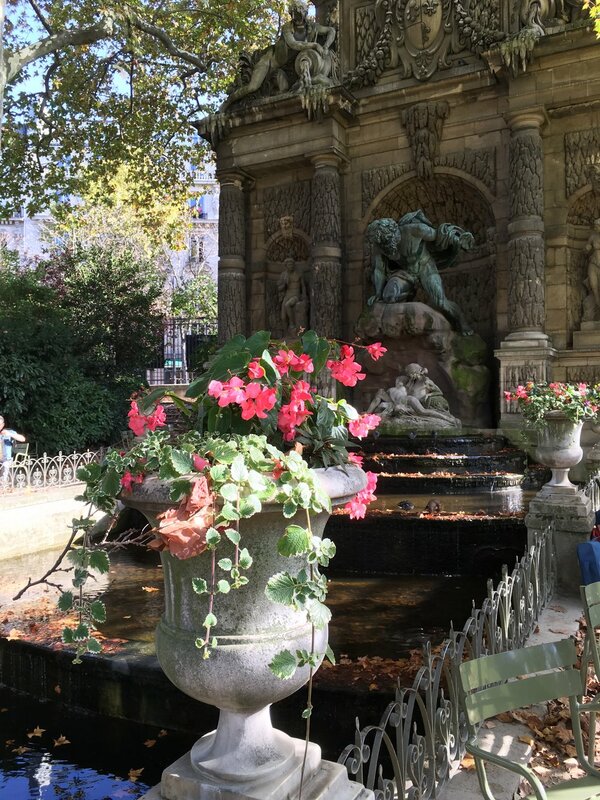 There is a fountain tucked away that is a great place to rest your feel and enjoy some serenity. Explore the grounds Victor Hugo’s home. The author of Les Miserables lived here for sixteen years. The structure is now a museum celebrating his life and work. There is a park across the street that is perfect spot to rest up or to reassess your itinerary. These are the best Falafel I have ever had. Be prepared to queue and have cash on hand. Just around the corner is Chez Marianne - the exterior of this famous restaurants is synonymous to this area of the city; Le Marais is another great Paris neighborhood; If you the time - stroll around and discover another area of the city. DAY 2 - Relax at Palais-Royal. You know those stripped columns that pop up in all the Paris Instagram feeds ? This is where you find them. The Lourve pyramids are just as famous as the museum itself. I always visit when I am in Paris; it is great spot for a quick break and people watching. If you want to explore the Lourve , you should plan at least a half day to fully explore the museum. If you don’t have the time - then make sure to visit the courtyards and the pyramids at least. I don’t usually shop when I travel, but I enjoy visiting this department store in Paris. The decor and opulence should not be missed and if you are one who likes to shop while traveling, this stop is a win-win. This is another highly recommended restaurant in Montmartre. Make sure you call ahead to reserve a table. If you are traveling solo ask for a chair at the bar - you get a view of the kitchen and can watch the chefs prepare your meal. If you enjoy that sort of thing, then I recommend it. After dinner, take a stroll around the neighborhood; don’t miss Moulin Rouge (at least the exterior facade). You will need to purchase a ticket if you want to see a show. This is an American-esque restaurant with Parisian flair. I highly recommend the pancakes. You will thank me later. There are two locations of this restaurant . Go early to avoid a wait. It is a symbol of the city and you should not miss it. I recommend seeing it twice - once in day light and once at night when it lights up. If you have got time, you should book a ticket to go to the top of the Tower. Get your tickets online in advance and save yourself time queuing up. If you have the time and wish to get a great view of Paris or the Eiffel tower; you can get tickets to go the top. Wear comfortable shoes and grab a bottle of water. There are over two hundred steps to get to the top. The Place de Vendome is on the other end of the Avenue from The Arc d’ Triomphe. You can get there either by metro or you can choose to take a leisure trek from the Arc to Place de Vendome. This is one of the most beautiful squares in France. It is flanked by high end stores like Louis Vuitton and five star hotels including the Park Hyatt - Vendome. Order a dessert and their famous hot chocolate. Don’t worry this is not one those places that automatically assigns the solo diner to the bar. You get a proper table. There will most likely be a line so be prepared to wait. During this visit, the line was incredibly long when I stopped by and I had a tour booked so I left and returned after my tour. They are open till 9 p.m. The public garden is a great place to relax from your itinerary; maybe picnic as well. If you to do neither, it is a great stop in Paris and within proximity of the Louvre and the Place de la Concorde. 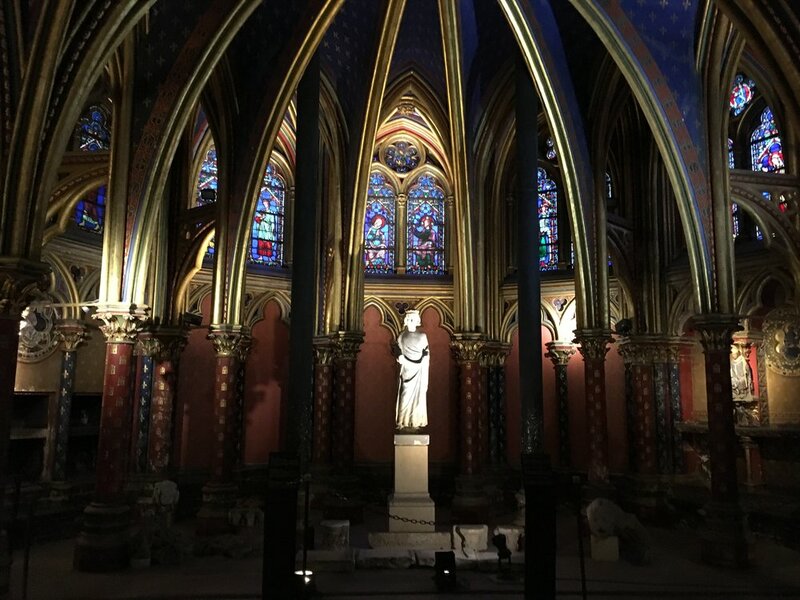 There are several neighborhoods in Paris worth exploring and several walking tour available to choose from. I have always wanted to explore Montmartre. It is one of the oldest neighborhoods in the city and has such an incredible history. The tour started at the Blanche train station and ended at Sacre Coeur. Similar to Eiffel tower, the view of the Lourve pyramids at night is completely different to the view in daylight. if you can, I recommend visiting in the evening as well. An alternative is to visit the Eiffel tower in the evening. There is a light show runs every night, every hour on the hour. It is Christmas Eve !!! I hope you are spending the day away from work; sleeping in; drinking mulled wine; eating minced pie and spending time with family and friends. I love this time of year in London (and Europe). Spending this time of year in London, Paris, any where in Europe is an absolute must once in a lifetime. The cities transform and in spite of the rain and cold (and snow); the Cities are vibrant; beautiful and merry. From corners filled with elaborate; uplifting decors; to Christmas markets; Mulled wine; wreaths hanging from doors; carols. I am here for all of it. 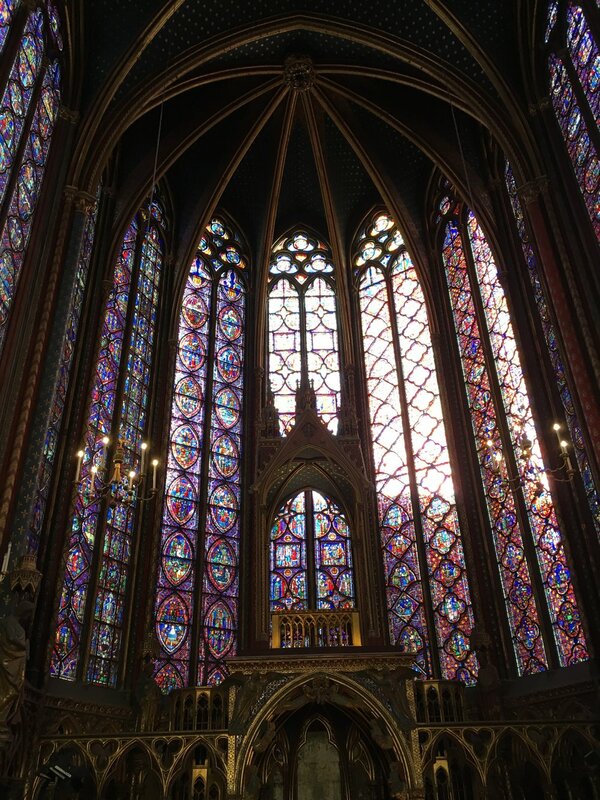 I was going to limit this post to Christmas in London; but we got a chance to visit Amsterdam; Paris ; Lille and Brugge in the last month and the sights and sounds of Christmas in all of those cities are worth sharing. I am yet to explore Berlin, Strasbourg and Alsace/Colmar during this season but I hear it is a must-see which means I have got three trips lined up for next Christmas. London transforms at Christmas - Somerset house and National history museum is completely transformed and Hyde park becomes Winter wonderland. Oxford street and Carnaby street light up and the tree and reindeers at covent garden while traditions of this season; they still draw the crowd. Beyond that - there are Christmas markets serving up the best minced pies; hot chocolate and mulled wine. How could I forget the annual gift from Norway which is on display at Trafalgar square and special displays like the Diane Van Furstenburg tree of Love at Claridges and St Pancras International. Brugge, Belgium - There are day trips from Paris and London to the Brugge Christmas market. Brugge itself is a dream to explore and the Christmas market is the cherry on top. Lille, France - Honestly I was not sure what to expect from Lille but I was pleasantly surprised. Compared to London and Paris - the Christmas scene is not at an obscene elaborate scene but it is still worth a trip to explore the city and its market. There is an impressive Christmas tree in the city center. Paris, France - This is probably the only time I will gladly indulge Opulence. The window displays on avenue Champ elysees to the elaborate decors at galleries de lafayette and Le Bon Marche. Paris takes Christmas decor; and takes it up twenty notches - just look at the decor at Dior ; Louis Vuitton and the avenue. Feast your eyes on the opulence and beauty. of the window displays and decor. Malmo ! Such a delightful surprise. I knew nothing about Sweden’s third largest city until I started making plans for my trip to Copenhagen in October. Malmo is an hour by train from Copenhagen center and cost less than 20 pounds for a round trip train ticket. Malmo kept popping up as an option for a day trip and after doing my research - I knew there was no way I could pass up a visit Malmo. I spent a very cold rainy Saturday in Malmo so these are the recommendation based on my own experience and research I did when I was planning my trip. It was a glimpse into Sweden and I cannot wait to plan my next trip to Sweden. Malmo was a great introduction. 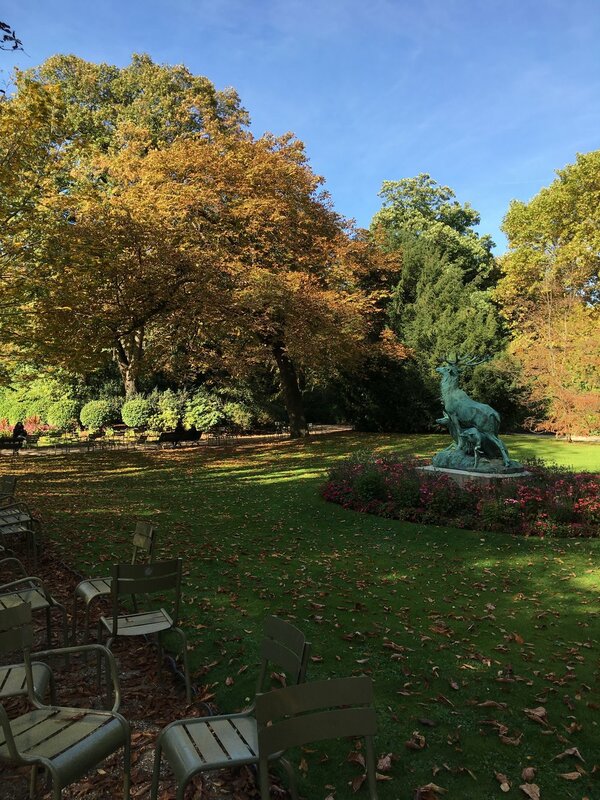 I try to explore on foot as much as possible and Malmo was perfect for that; a few things were outside the center that may require using the public transport (if you are not up for the trek), but for the most part you can walk to the recommendations in this post. Most of these are within a half hour walk from the central train station. Stortorget: This is the main square in Malmo. It was surprisingly quiet with just a handful of tourist taking in their first sights of Malmo. I guess the rain and cold weather kept most people indoors. Just off the main square is Lilla Torg aka small square and has a very old time vibe to it. I did not stop here because the rain was coming down at this point and without an umbrella, I wanted to get to shelter very quickly. The square is flanked by the city hall building; house of Jorgen Kock the famous Swedish designer and the famed Kramer hotel. In the center of the square is the statue of King Karl Gustav X - the XI king of Sweden. 2. Shop along Sodergatan Street: Just off Strotoget is a shopping street with several chains and local shops. My favorite shop along this street was Granit, the Swedish design and stationery store. I initially ducked in to get away from the rain but ended up spending an hour in the store. I would have spent half my rent in the store. Thankfully, I had traveled with just a carry on and was saved from damaging my bank account. I found out the brand ships to the U.K so I will be placing a somewhat bank account detrimental order shortly. 3. Enjoy Impressive architecture. Malmo is home to some impressive architecture. While it might not be possible to see all of them on a day trip, there are two I will recommend to add to your itinerary. The first is the turning torso which holds the title of the tallest building in Sweden and twists 90 degrees from bottom to top. It is located in the Western labor which has also got a skateboarding and climbing park. You can get a really great view of the turning torso from the Malmo castle if you don’t want to make the trek that way. Because the building is residential, access to the interior rooftop is limited to only five weeks in the summer. The second is the Emporia shopping center. I have got major FOMO about this one since I could not make the trek to it but if pictures are anything to go by, then I think it deserves a spot on your itinerary if you love architecture. 4. Malmo Castle. This is not a traditional castle as it was a key fortress in the war between Denmark and Sweden. The structure has been destroyed and rebuilt several times and now currently house the tropicanium aquarium and museum of natural history and museum of art. 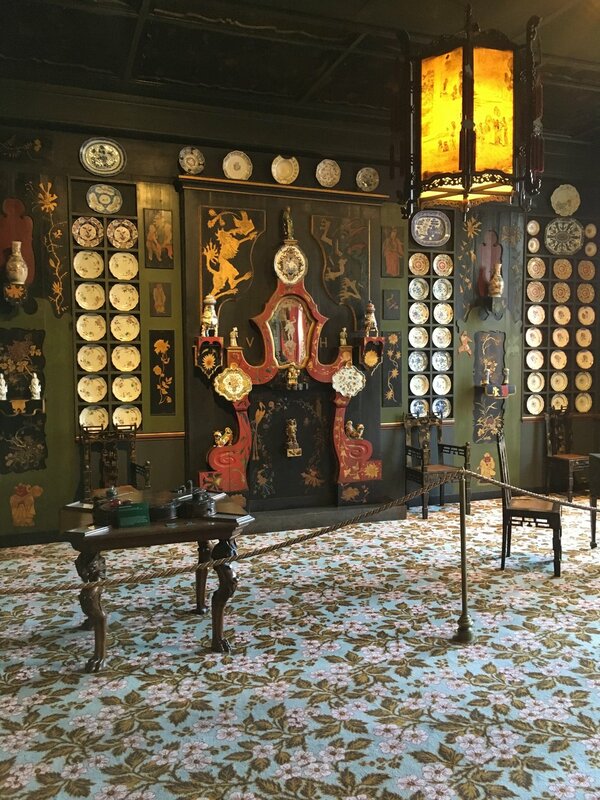 The castle and its museums give an incredible glimpse into the history of Sweden and Malmo’s role. At one point it housed Swedish prisoners and at another time it was home to the city’s poor. A lot of history on the grounds and if I was spending more time in Sweden, a place I will have loved to explore even further. The entry cost is about $4. 5. Visit the parks:The City is home to numerous parks - I visited Kungsparken and Slottparken and loved both. Kungsparken is a public park and within walking distance from Malmo Castle. There is a a section of the park dedicated to private garden and the windmill in the middle of the park is a reminder you are in the Nordic land. Slottparken is located around the Casino which is a yellow building located in the park and flanked by tall tree and seats on the lake. Without knowing it is the casino, it looks something out of a fairy tale. You also get an incredible view of the Malmo City library from the park (and vice versa). 6. Malmo city library. Ah ! a book and architecture lovers dream. I docked in here to escape the rain and ended up spending a few hours on the second floor in a spot overlooking Slottparken and reading a book. It spurred my love for libraries again. I used to love going to the library for the quiet and I could get lost in a book for hours, but that love was soured by years spent in the library working on getting my CPA certification. I have not been back to a library since I passed the exam (bad memories), but spending time in the Malmo City library was the much-needed jolt to return (maybe ? ). 7. St. Peter Church. While doing my research for the trip, I found out this was closed for some weeks for renovation, so while I could not see the interior, I still wanted to see the structure as it is the oldest building in the city. The red brick structure was designed in the Gothic style and dates back to the 14th century. If it happens to be open when you visit, I hear the interior has a votive ship memorial for fallen soldiers of world war II and medieval wall painting. 8. Modern Art Museum Malmo. Malmo has got a lot of museums and if you are doing a day trip; seeing all of them will is realistically not feasible.The design museum was highly recommended so was Malmö Konsthall. My favorite one to visit was the Modern Art Museum. Loved everything about it and if you only have time for one museum - make sure it is this one. 9. Keep an eye out for street art and sculptures. There are several in the city and I recommend researching a few before your trip. You cannot see all of them, so picking a few favorite to see on the trip will be my recommendation. A few I recommend - the non-violence sculpture; the optimistic musical group on Sodergatan Street; Way to go Bronze shoe sculptures along the Davidshallsbron which pays homage to the city’s famous artist and performers. Finally, there is the sound sculpture (at least that is what I am calling it) - It is located just a short walk from the train station. If you stand in the circle and whisper - it echoes. You also get a great view and pictorial framing of the lighthouse from this spot. 10. Enjoy Swedish baked treats. You cannot leave Malmo without trying some sweet treats and baked goods. Noir had a really good pear tart; but there were a few bakeries that locals recommended - Gateau; Lilla Kafferosteiet and Pronto. I tried the offerings from Gateau and it was relish ! 11. Dine at one of Malmo’s cafes like Noir and Atrium Kaffe Bar. After exploring the area I can imagine that on a spring or summer day the patio of Noir will be packed with patrons but due to the rain and cold it was empty when I arrived and I was not sure I made the right decision. Thankfully, I walked in. The indoor seating is small and cozy. The breakfast menu is minimal but the coffee and dessert is good stuff. I had the pear tart and decaf cappuccino. It was excellent. Let me start by saying - I am not one to advocate a rush trip; I don’t think a rush trip gives a great sense of a city; but every now and again an opportunity presents itself that cannot be passed up. I was in Basel recently (more on that later) and realized I was only an hour from Zurich. I just had to go visit even if it was for a day. A few tips for you - be careful when planning a trip to Zurich on a Sunday as a lot of the stores (and restaurants) were closed. I gather this is something that is common in European cities. Another tip, if you are traveling from another part of Switzerland (Basel, Bern , Lucerne etc) - get your train ticket in advance online or via app. I paid about 25 swiss francs more than the prices online by buying my ticket at the train station and the day of my trip. That is the other thing to note, while Switzerland is part of the EU, it retains its own currency (Swiss Franc) so plan accordingly if you are heading to Zurich. The central train station is Zurich HB and will likely be your stop if you are traveling from another part of Switzerland. Zurich HB is located at the end of the famous Bahnhofstrasse. The easiest way I can describe Bahnofstrasse is the Zurich version of Av. des Champs-Eysees but significantly more expensive. It was once ranked the most expensive street for retail in Europe. It is lined with high end and high street retail shops; hotels and restaurants including the Hiltl Dachterrasse - a great vegetarian and vegan restaurant with an incredible selection of cocktails; coffees and teas. It is one of the oldest vegan restaurants in the world. You can find this rooftop terrace above PKZ women store. Other great food options for Zurich - Bubbles and Rolli Steakhouse - the later was highly recommended and one of the motivations for going to Zurich, but they are closed on Sundays (insert heartbreak emoji). Bubbles is a great brunch spot run by an incredibly sweet lady who makes out of this world desserts. Before you start down Bahnofstrasse, just around the corner from the train station is the Swiss National museum. It cost ten francs to get in and the museum is housed in an architecture space that is incredibly modern on one end and looks like a castle on another end. Somehow it works. Don’t miss old town, you can get to Old town by taking one of the side roads from Bahnofstrasse. There is quite a bit to see this way. On the day I visited, there was a motor cycle event happening. There must have been over 500 motorcycles lining the street. It was pretty cool. While in Old town, keep an eye for some of the historic church buildings some of which have existed since the 1700; each one with its unique architectural style. The four main ones to keep an eye out for - GrossMunster ; St. Peter’s ; Fraumunster and Predigerkirche. GrossMunster is impressive - the 12th century cathedral is in the Romansque style. You can climb up to the steeple for amazing views. Again, if you are visiting on Sunday - you may not be able to visit the interiors of these churches. Make sure to hike through old town to get to Lindenhof hill and the public square offers a stunning view of the city. It also used to be the site of the imperial palace. Explore the areas around the hill and the churches - a lovely wander around Altstadt (Old town) never hurt anyone. Football fans - do not miss the FIFA world football museum. The stairs light up with some historic football moments so keep an eye out for that beaut. Finally Lake Zurich - if possible, pack yourself a little picnic and relax and feast to your heart’s content. There were two things I really wanted to do but did not have the time - Felsenegg and Uetliberg. Uetliberg is a moutain just half hour by train from Zurich HB and supposedly offers a panoramic view of the city and Lake Zurich. Felsenegg is another mountain summit with access to hiking trails; a restaurant with views of Sihl valley and Lake Zurich. It is also less than a 100 feet from Pluto’s mound. Getting around - I bought a day pass for the tram which came in quite handy as the best brunch spots seemed to be away from city center and when you have just a few hours, it helps not to log miles on foot. 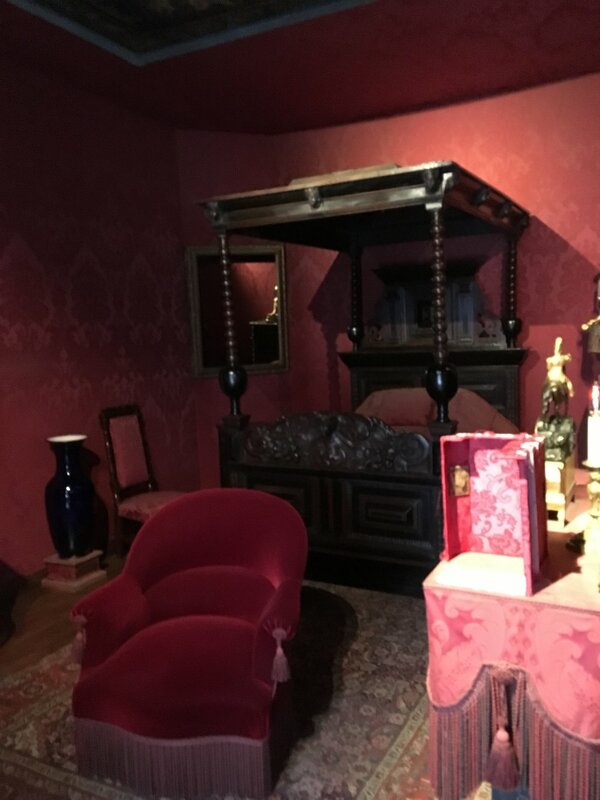 If you considering a trip, I think a weekend is perfect to have a Zurich getaway that is not rushed and you get to see all the main attractions. If you have any Zurich recommendations, please share in the comments. "Travel leaves you speechless, then turns you into a storyteller" - Unknown. My name is Simi. Welcome to Portland | Grace, where I share stories inspired by my travels (and life). In the last three years, I have visited more than 30 cities around the world and I did not have to quit my day job to do it. I hope you find inspiration on these pages to pursure your travel dreams. I love chatting travel - send me a message at portlandgraceblog@gmail.com. Let's chat !!! 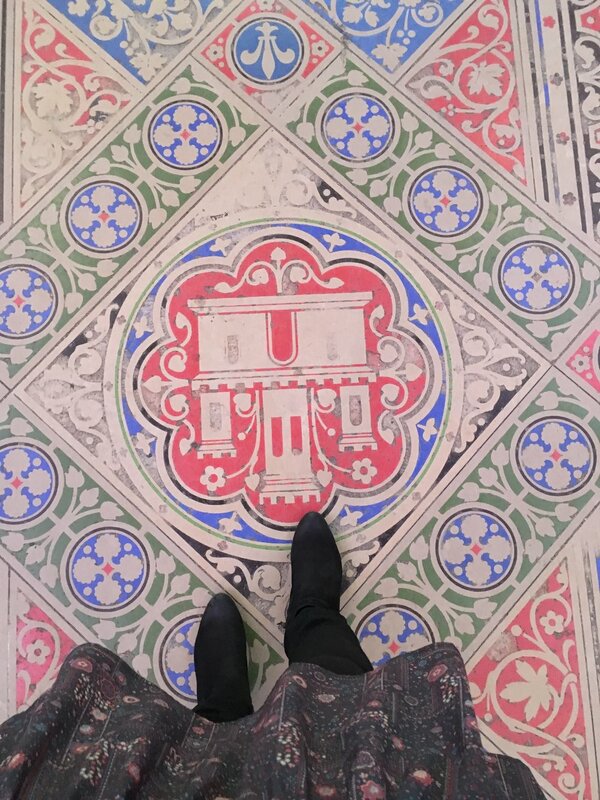 For more travel tips and behind the scenes look at what I get up to besides the blog, Sign up with your email address to receive news and updates. © 2015 —2019 THE SIMI EDIT.